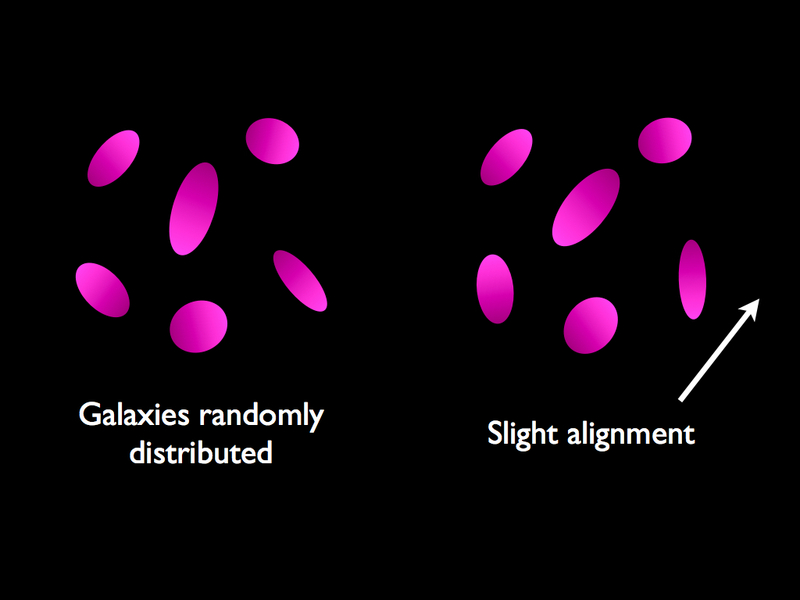 The Trenches of Discovery: Why do galaxies rotate? Galaxies rotate, every child knows that. Looking at the images of grand spiral galaxies it is quite suggestive to think how all the stars and gas that make up a galaxy all move in a more or less orderly fashion about the galaxy's centre. However, when we think about mechanisms through which galaxies can acquire angular momentum the matter seems very obscure: how do they start rotating in the first place? The formation of cosmic structure, including galaxies and the larger clusters and superclusters in which they are embedded, is a fluid mechanical phenomenon, where gravity is the only force acting on the distribution of matter on large scales. It is in fact gravity that amplified the tiny fluctuations present in the primordial distribution of matter that filled the early Universe (matter here means mostly cold dark matter) and caused them to evolve into the large-scale structure that we observe in the present Universe. These tiny fluctuations grew by self-gravity: a region in the matter distribution that is slightly denser than its surroundings generates a gravitational pull and accumulates more matter, hence its density increases with time. 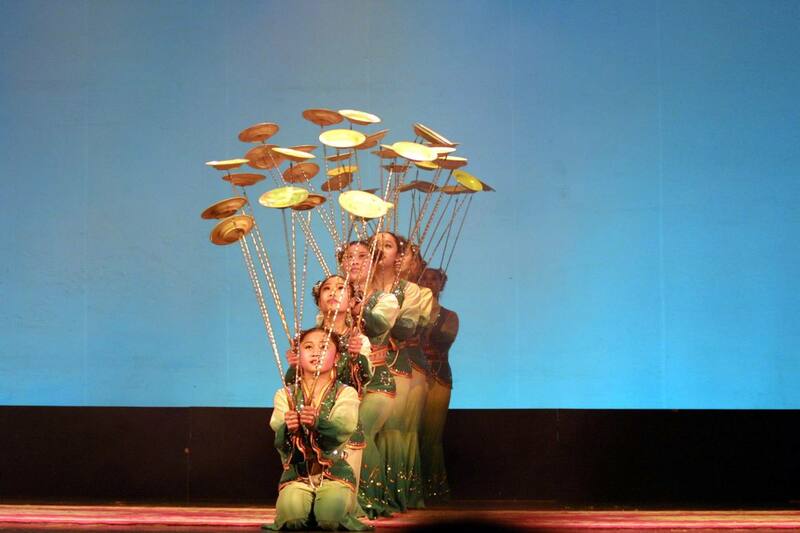 At first sight it is very difficult to imagine how gravity could introduce rotation. After all, on the scales of cosmic structures, gravity is well approximated by the scalar Newtonian potential, which is parity invariant and does not possess any chirality: At which point would a galaxy in the forming decide whether it should rotate clockwise or counterclockwise? The answer to this lies in a process called tidal shearing, which consists in a misalignment between the tidal forces (the second derivatives of the gravitational field) and the moment of inertia of the protogalaxy (the second moments of the matter distribution). The meaning of these technical terms can be explained quite easily: Imagine a curling stone sliding along the sheet, where the ice surface on its left side is a bit smoother compared to the right side. The stone will be set into clockwise rotation by this difference in force. For a protogalaxy, it is the variation in gravitational force moving the galaxy along that introduces rotation, and is responsible for the galaxy's angular momentum. There are two observable consequences of tidal shearing. The first one is a bit obscure and concerns the fact that, if a galaxy possesses enough angular momentum, this is able to counteract the galaxy's collapse under its own gravity and to stabilise its structure. Interestingly, tidal shearing is effective at providing enough angular momentum and stabilisation for a wide range of galaxies. The second observable consequence is the correlation between the angular momenta of neighbouring galaxies: since neighbouring galaxies experienced tidal gravitational forces that were related to one another while their angular momenta were building up, we expect a certain degree of correlation between the resulting angular momenta. Now, if angular momenta of neighbouring galaxies are correlated, this should be reflected in the relative inclinations of the discs of these galaxies. 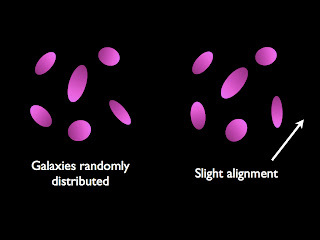 The galactic discs of neighbouring galaxies are thus expected to be oriented with inclination angles that are correlated to one another, and the apparent shapes or ellipticities of the galaxies should be correlated, too. 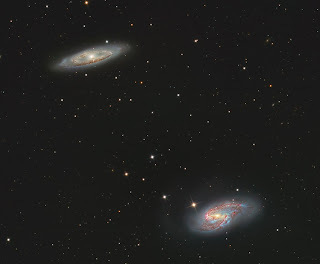 As a result, if the angular momenta of two neighbouring galaxies both point, by chance, towards the observer, one would see two circular face-on galaxies; on the other hand, if both angular momenta are perpendicular to the observer's line-of-sight, one would see both galaxies edge-on with a high ellipticity. 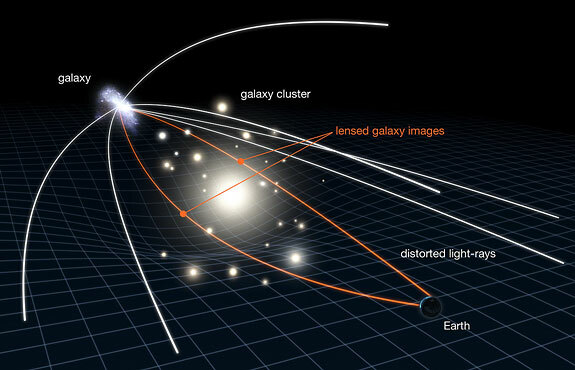 These so-called intrinsic alignments between galaxies represent a serious nuisance for observations of gravitational lensing: the distortion of light from distant galaxies due to the gravitational effect induced by the large-scale structure of the Universe, including foreground galaxies. In particular, intrinsic alignments plague observations of the so-called weak gravitational lensing effect: this phenomenon, which yields valuable insight onto the distribution of the (mostly dark) matter along the observer's line of sight, is estimated by measuring possible correlations between the shapes of galaxies in a certain patch of the sky. Underlying these measurements is the assumption that the shapes of these galaxies are intrinsically uncorrelated, which is clearly not valid on small scales. In fact, a significant fraction (up to 20%) of the correlation between the shapes of neighbouring galaxies is caused by the correlation between their angular momenta rather than by gravitational lensing effects. 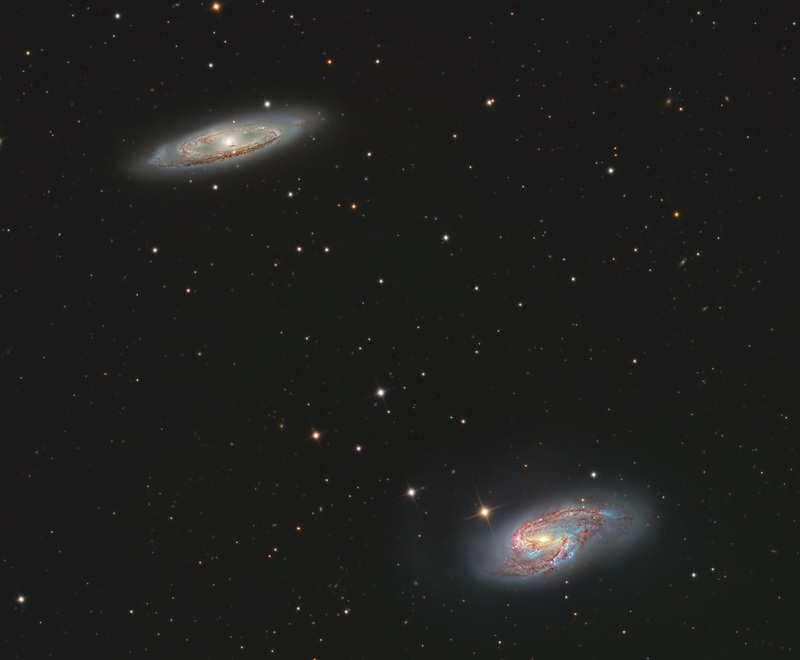 These considerations are particularly relevant when considering future missions such as Euclid, which are designed to estimate cosmological parameters to a great deal of accuracy by measuring the weak lensing effect on an extensive survey of galaxies. In the case of Euclid, for example, the correlation between the intrinsic ellipticity of galaxies might induce a bias on the results by an amount that is almost twice as large as the statistical errors, i.e. in a significant way. On the other side, a data set such as the catalogue of galaxy ellipticities that will be compiled by a mission like Euclid is an extremely valuable tool for investigating the mechanisms that lead to the generation of angular momentum in the large scale structure, in particular the non-linear processes that are responsible for shaping the ellipticity field. Do the black "holes" n the center of a galaxy rotate and if they do, do they rotate in the same direction of their galaxy? I am inclined to think that the galaxies were set in circular motion at the time of the big bang, because the mass they were thrown away from was rotating. It happened for no other reason than that the rotation of the earth makes rising air circulate The fact that the galaxies rotate separately indicates to me that each galaxy is the product of a lesser bang. Be that as it may, a similar basic law explains why some of the matter drawn towards a star ends up in orbit - the galaxy is rotating. Anyway, what is certain, and common to all galaxies, is that this rotation is exactly right to produce planets, and ultimately life. It only had to be a little different, and life would be impossible. We don't really have to think long and hard to see that our lives are dependent upon a host of similar remarkable chances - Caius.